Acrylic on canvas. Finished in satin varnish. 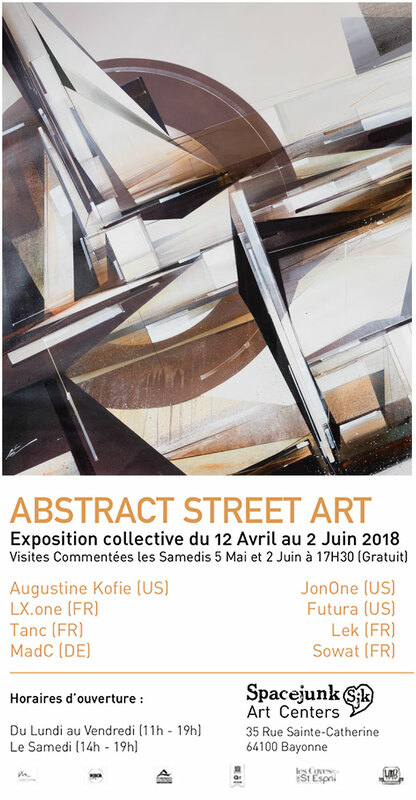 “Abstract Street Art” is a collective exhibition presenting the work of 8 artists. And then, over the years, new forms of abstraction have appeared, each time calling on the history of art: Futurism, Automatic Writing, Optical Art. Spacejunk invites you to discover in this new original exhibition, the footbridges that street artists have created between the history of painting and the movement of Street art.